Yunnan CTC (Crush, Tear, and Curl) black tea is characterized by having sturdy grains of tightly-rolled tea leaves and regular colouring. The tea beverage is bright-red colour, with a rich, lingering aroma and a brisk and refreshing taste, it has been earning much acclaim from tea experts at home and abroad. 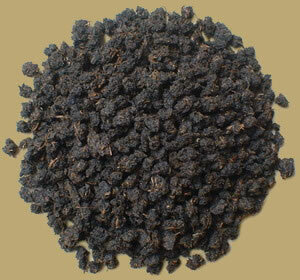 Indian tea experts also agree that the Yunnan CTC black tea is of equally superior quality as the high grade broken black tea produced in Assam, Indian. In processing the CTC black tea, fresh buds of yunnan broad-leaved tea plant are selectively picked and advanced scientific processing method is adopted. When the tea is infused, 40% of the elements of the tea leaves will dissolve conforming to the international health standards. The tea tastes the best when milk and sugar is added in. Ideal for black tea bags or tea beverage. Our CTC black tea available in 2#, 3#, 5# and 6#.